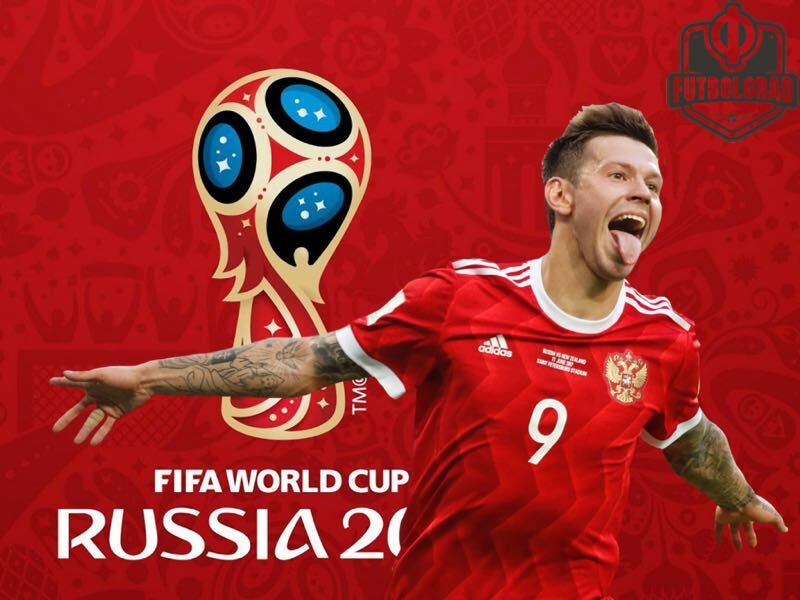 Can Smolov, Dzyuba, Zabolotnyi win the top scorer title at the World Cup? Smolov, Dzyuba, Zabolotnyi – Can a Russian challenge for the top scorer title at the World Cup? The Futbolgrad Network has recently taken a look at the possible top scorers at the 2018 FIFA World Cup. No Russian forward featured on that list, which was odd. After all, despite the injury to Aleksandr Kokorin Sbornaya head coach Stanislav Cherchesov has several options on who to play in attack. Perhaps the biggest obstacle for the likes of Fedor Smolov, Artem Dzyuba and Anton Zabolotnyi will be Russia’s overall form. The Sbornaya are among the weakest teams at the tournament and are not expected to go deep and Russian strikers will, therefore rank low in the World Cup Goalscorer top Scorer Odds. At the same time that has not stopped Russian’s from winning the top goalscorer award in the past. Oleg Salenko, for example, won the 1994 top goalscorer award at the 1994 FIFA World Cup with six goals scored in just three games. We have, therefore, taken a look at Russia’s attacking options and their chances to be among the top scorers in the tournament. Fedor Smolov is perhaps Russia’s biggest star at the moment. The Krasnodar striker has won the last two golden boots in the Russian Football Premier League (RFPL) by scoring 20 goals in 29 games during the 2015/16 season and 18 goals in just 22 RFPL games in the 2016/17 season. This season he has scored 12 goals in 19 games and is currently trailing Spartak Moscow’s Quincy Promes, who has managed 14 goals for Spartak this season. With three outstanding matches, there is, however, still time for Smolov to defend his goal-scoring title once again. It would most certainly be his last. 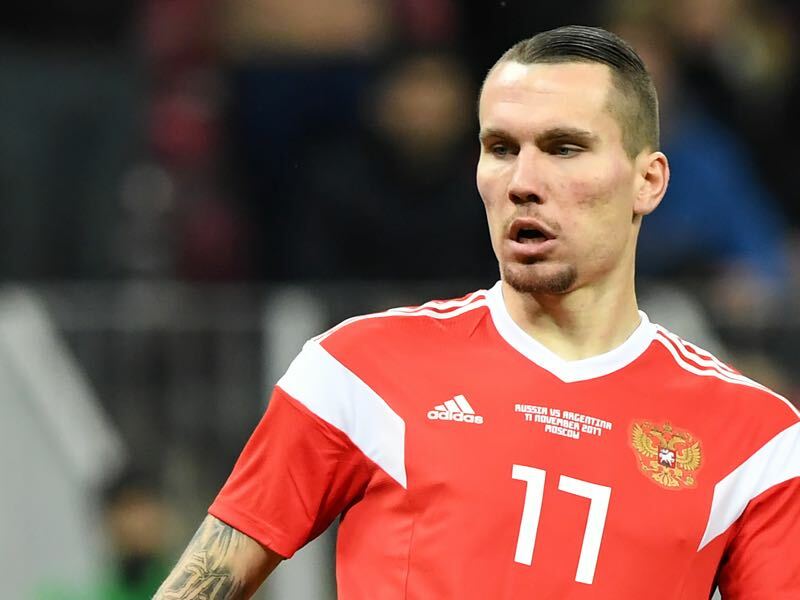 The Russian forward wants to use the World Cup as his stage to convince clubs from Western Europe to take a gamble on him. Heavily linked with West Ham United Smolov needs to have a strong World Cup to underline his potential value. Furthermore, as Russia’s biggest star Smolov will carry the weight of the entire nation at the tournament because only a red-hot Smolov will give Russia any hope to advance to the next stage. It is remarkable that Artem Dzyuba is back on the list of potential strikers for the Sbornaya. The big Russian striker had two seasons to forget and was ostracised by Zenit head coach Roberto Mancini this season. Sent into exile to play for the provincial club Arsenal Tula, Artem Dzyuba’s World Cup dream seemed all but over. 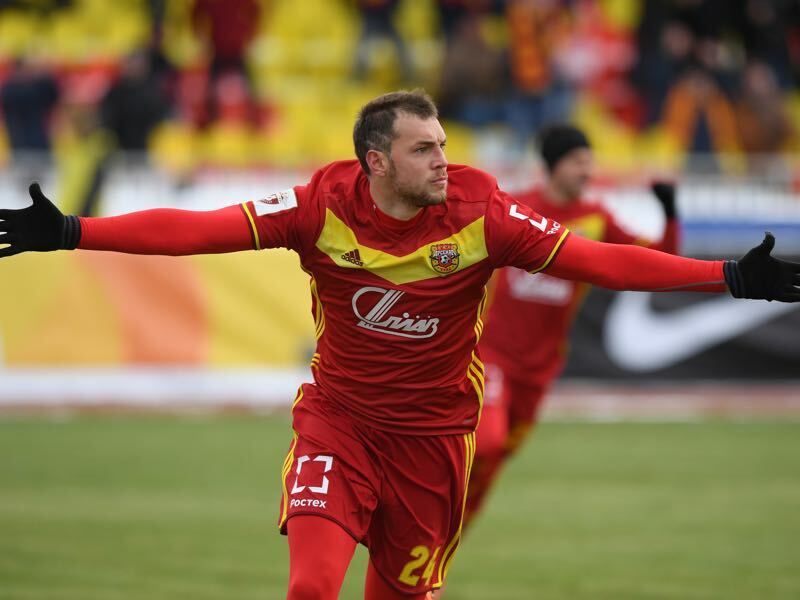 But the striker made the most of his exile and has now scored five goals in seven matches for Arsenal Tula. It would be an understatement to describe Dzyuba as motivated. On matchday 27 Arsenal Tula faced Zenit. Tula would have had to pay a fine of €120,000 should they have fielded Dzyuba – a decent amount of money for a small Russian club. Dzyuba, however, said he would be willing to pay the fee in order for him to play against his parent club. In the end, Tula awarded his dedication and paid the money, which was quickly paid back by Dzyuba who scored late to make it 3-3 securing Arsenal a point against Russia’s richest club. For Dzyuba this may have been justice, but this sort of dedication may also help his case with Cherchesov as the lanky striker is now back in the race to be nominated for the Sbornaya and in current form could form a deadly partnership with Smolov. Brought in from FC Tosno Anton Zabolotnyi was supposed to replace Artem Dzyuba, who Mancini did not trust anymore. Although Zabolotnyi was a decent player for Tosno in retrospect signing the forward to replace Dzyuba may have been a mistake by the Italian head coach. Scoring four goals in 19 matches for Tosno Zabolotnyi was always going to be a squad player for Zenit. But after Dzyuba was sold and Kokorin went down with an injury he ended up playing regularly for Zenit in the second half of the season. Zabolotnyi, however, is not an all-out goalscorer and has failed to find the net in seven RFPL games for Zenit. Playing regular minutes for Zenit, however, has been enough for Cherchesov to nominate the striker, but it is doubtful that he will feature enough for the Sbornaya to play a role in the top goalscorer race at the 2018 FIFA World Cup. Bayern and Dortmund to battle over Brazilian starlet Victor Bobsin?